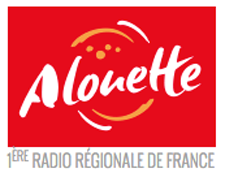 Alouette is a leader in regional radio in France and operates 43 of their own frequencies that cover 15 local departments. Best possible flexibility (transmission sources, transmission of local content and coding algorithm). Keeping technology as simple and as cost-efficient as possible. As Alouette is managing its own MCPC satellite uplink, they company did not participate in the NSTR project, which was the merger of several French broadcasters using a common satellite uplink). The company decided to implement 2wcom equipment. To ensure interoperability and a smooth switchover to the DVB-S2 standard, a test phase was initiated during February of 2017. 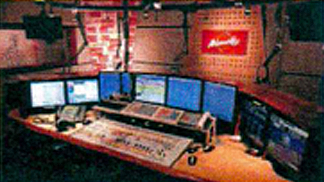 At that time, 2wcom had launched their 8-channel-MPEG encoder MM08E and Alouette received the first manufactured device at their station. The MPEG encoder can be used in IP and SAT system environments. The product also offers all standard (Enhanced apt-X, AAC, MPEG I/II Layer 2/3, PCM) as well as RDS data and generates multiple streams independently. Transmission of ancillary data and switching contact information (GPIO) can be forwarded via integrated interfaces. Activation of further channels can be managed via software updates. A well-constructed redundancy concept is offered that includes two hot swapping slide-in power supplies that ensure operation without interruption. The MM08E is rounded out by offering functions for quality management (MPEG FEC and DualStreaming), controlling (HTTP, Telnet, NMS and SNMP) and monitoring (IP and MPEG parameters via SNMP v2c and relay, headphone output and alarm, source switch & event logging). Combined with the eSIRC Server and its DSR02+ receivers, this solution enables Alouette to distribute and broadcast local programs and to fully control the entire channel with a satellite IP solution. With 2wcom, eSIRC (Satellite Inband Remote Control) a web based software for remote control had been chosen, that precisely meet the needs of a regional broadcaster at daily work. This major switchover involves three MM08E encoders, 1 eSIRC Server and 38 FlexDSR02, with implementation already started with completed expected by September of 2017 — Alouette should then be able to multiplex three programs simultaneously.